18-year-old boy in court for stealing phone at gun point - BlogIT with OLIVIA!!! A teenage armed robbery suspect, David Ikemi was on Monday arraigned before an Egor Magistrates’ court in Benin, Edo state for allegedly being in possession of a cut-to-size hand gun during an operation.The 18-year-old was arraigned alongside an accomplice, Best Egomwan, 25, who allegedly received the stolen items. The Prosecutor, C.S.O. 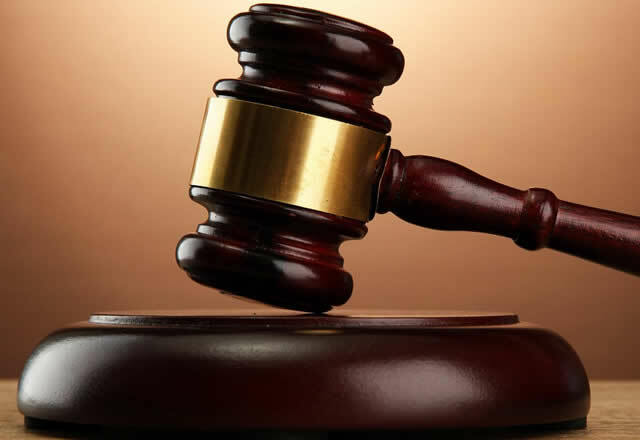 Nnamdi, told the court that the accused committed the offence on 29 February, 2016, at about 11:30 am at Ogida Quarters in Benin.“At gun point, he robbed his victims of one Samsung Galaxy S5 and Tecno M5 mobile phones, both valued at the sum of N65, 000 and N30, 000 cash respectively,” the prosecutor said, adding that the offence contravened section 402 (2) and 427 of the Criminal Code Cap 48 Vol. II, laws of the defunct Bendel State of Nigeria 1976, as applicable to Edo state. While the plea of the first accused, Ikemi, was not taken, the second accused, Egomwan, pleaded not guilty to the charge against him.‎The Chief Magistrate, Mr. W. E. Aziegbemhin, granted the second accused person bail in the sum of N70, 000 and a surety in like sum, who must be a senior civil servant, resident within the court’s jurisdiction.Aziegbemhin ordered that the first accused be remanded in prison custody and adjourned the case till 21 April for mention.